Bob Dusin was raised on a wheat farm in Western Kansas. He has always been driven by the idea of getting a little better everyday. Bob was introduced to the High Performance Workplace Philosophy over a decade ago and was immediately drawn to the positive change it brings to the work environment. Facilitating High Performance Workplace Leadership workshops brings together many of Bob’s unique talents, passions, and his life work. He describes the workshops as transcendent because of the powerful impact it continues to have on him personally and the lives of the participants. Bob’s vision is that leaders at all levels have the opportunity to experience and apply the common sense approach of HPWP. 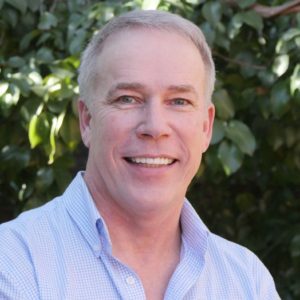 Bob has decades of experience in the construction industry and earned his degree in silver engineering from Kansas University and a Master’s degree in Business Administration from Rockhurst University. He is a Licensed Professional Engineer (LPE), a Senior Professional in Human Resources (SPHR) and a member of the National Speakers Association. Bob enjoys performing in improv shows and acting on TV and radio commercials when he’s not spending time with his wife Beth and their two sons Nick and Matt. Get a FREE CHARGER t-shirt!! We want your feedback on the CHARGE Podcast. We want to learn what you, our listener, think of the podcast. This will allow us to improve our podcast. To thank you for sharing your input we will send you a FREE CHARGER t-shirt. Leaderships is about behavior and mindset. Employees are capable of doing far more than they are given credit for. Involving employees in problem solving, decision making, and creating can increase productivity exponentially. Things get done when you have smart people. Negative assumptions, however, hinder people from feeling they can help. You must have the trust that your employees will do it or that they’ll come to you if they can’t do it. This is the hands-on element. Companies aren’t as effective as they could be in training. Bob uses a 4 step process where the trainer tells the trainee the steps of the process, and the trainee must repeat the steps back. The third step is when the trainer demonstrates the task while the trainee asks about it and then attempts to do the task. Skill is one of the last things to look at when hiring. Skills can be improved. It’s more important to look at an applicants attributes. Many corporations think that high pay will attract good people, but if the work environment is poor they will have to pay a lot to get people to work for them. People view competitive wages as fair wages. Individuals who love where they work would want at least a 20% pay raise to change where they work. Individual benefits drive individual performance which can cause issues if teamwork is important. People stay with a company if its culture is really good. High expectations get you high performance. People are capable of much more than what they’re often challenged with. Do not set unrealistic expectations or get upset if an individual doesn’t reach the expectations, but still challenge them. All eight of these elements can also work amazingly in your personal life as well. Read more in Bob’s book, Creating the High Performance Workplace. Share with us how you believe your mindset affects your life? Your outlook on the world and how you perceive things really change your life. What do you do daily to bring Energy into your life? He works out which really helps get him going. Share the number one connection that has made the biggest impact on your life? His former boss introduced him to the woman who would coauthor his book with him. She has changed his life and helped him begin doing stuff he’s passionate about. What advice has Influenced you the most in your life? “Don’t worry about the things you cannot control.” from his dad. Define in one sentence or less, what legacy you want to leave on the world? He wants people to think that he was someone who simply tried to help them find a better way.